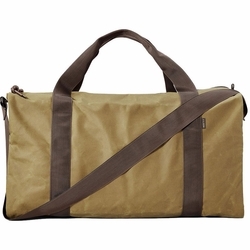 Filson Field Duffle. This heavy-duty medium duffle is made with water-repellent, abrasion-resistant fabric and fully lined with nylon. Features quick-drying webbing handles and shoulder strap for carrying comfort in all weather conditions.